We recommend you Astra, Astrigma, Flatro or Sigma for your aircraft hangar. Light aviation. ULM. Recreational or professional use. Your plane deserves a secure, solid and comfortable shelter. Need workshops or storage space? Frisomat buildings can be used for various applications. Storage of airplanes, storage of ULM, shelter for helicopters. Frisomat designs produces and builds industrial buildings for aeronautical use. 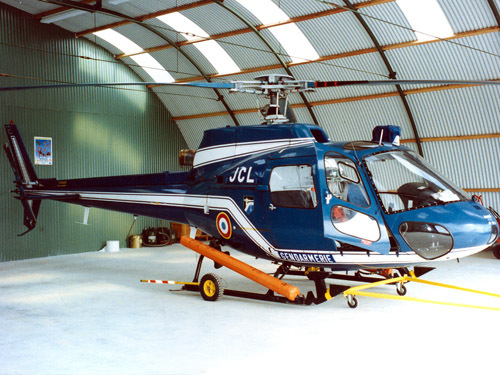 Aviation hangars, aeronautical buildings and workshops to service your airplane or helicopter. Expandable buildings with a lot of flexibility. From aircraft hangar to storage building. Frisomat buildings offer maximum comfort and safety. Every building is adapted to your needs, environment and budget. The used high strength steel guarantees a lifetime quality. Frisomat buildings are built to last. The unique Frisomat strategy offers you peace of mind. More than 20.000 references worldwide prove it. An aircraft hangar? Frisomat has the knowhow. Depending on local requirements and regulations, various concepts can be used. For more info, don’t hesitate to contact us. A detailed offer. An attractive, fixed price, no surprises when the construction starts. Relatively light but solid constructions. Short delivery periods. We guarantee a fast delivery and construction. How? Thanks to the integrated Frisomat chain. High quality & long lifetime. The galvanized cold rolled steel elements make sure of it. Trust. Over 30years of experience. Over 20.000 references worldwide. Peace of mind. Frisomat doesn’t depend on third parties. We control the whole process and quality.